Providing transportation for students to and from school is costing public school districts more than they’re receiving from the state, and a legislative measure introduced this session would worsen the underfunding, which has school business officials calling for changes. School business officials say money to cover the underfunding for this necessary service often must be pulled from their general budgets, which primarily cover teacher salaries and classroom support. House Bill 2282, introduced by Rep. Jill Norgaard, R (District 18 – Phoenix) and co-sponsored by Rep. Regina Cobb, R (District 5 – Kingman), Rep. Darin Mitchell, R (District 13 – Goodyear), and Rep. Becky Nutt, R (District 14 – Tucson), would cap one portion of the state’s current transportation funding formula and require districts who meet certain conditions to reduce their transportation budgets. School business officials would like to see a new formula to replace the current 37-year old one, not one that further stresses budgets. The bill, which is being held in the House Education Committee, would mean a potential loss of $3 million to Mesa Public Schools, the state’s largest district with 64,000 students, said Scott Thompson, assistant superintendent for business services for Mesa Public Schools. The district currently requires $4.5 million more than what the state provides. Page Unified School District, located in rural Coconino County and serving students both on and off the Navajo Nation, received $1.9 million in state transportation funding last year, but budgeted $3.35 million for the half a million miles it must drive buses annually to get the district’s 2,700 students to and from school, said Kevin Dickerson, the district’s business manager. 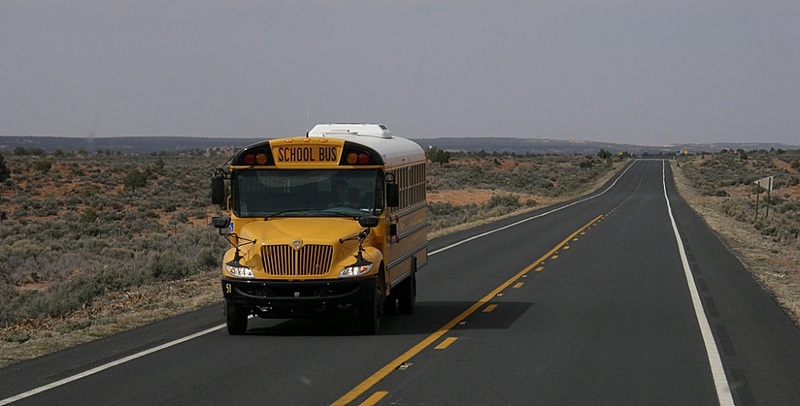 Some Page Unified students “are on the bus nearly two hours each way, because we reach very, very far out onto the reservation,” and the buses sustain a lot of wear and tear from the many miles driven over sandy, dirt roads, Dickerson said. The district also dips into its federal Impact Aid to help defray the costs they state isn’t covering. School districts like Page Unified, that have within their boundaries large parcels of federal land, such as the Navajo Nation, face special challenges and sometimes operate with less local revenue than is available to other school districts, because the federal property is exempt from local property taxes. 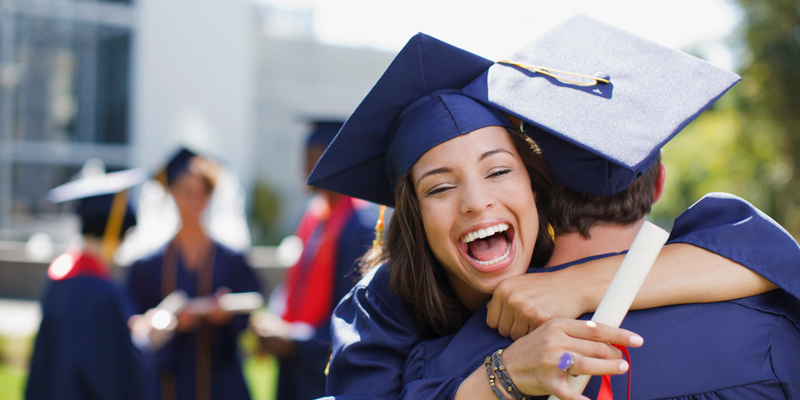 Impact Aid is intended to help districts counter those challenges. 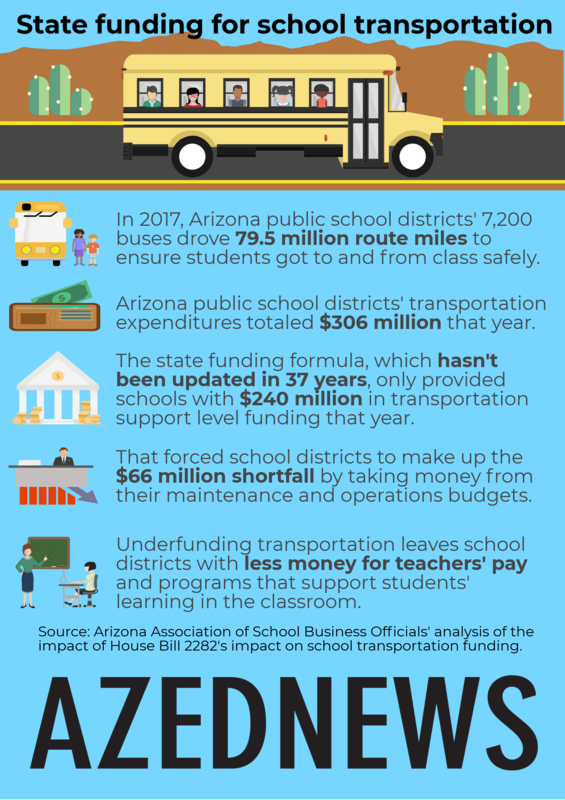 Last school year, Arizona public schools spent $306 million to transport students, but the state’s Transportation Support Level formula only generated $240 million, according to Dr. Anabel Aportela, director of research for the Arizona Association of School Business Officials and the Arizona School Boards Association. She said underfunded districts are forced to look elsewhere in their budgets to covering the remaining $66 million. Thompson said the consequences of underfunding transportation may be “unintended,” but they are having a real impact. “The impact is there are fewer funds to address the general operating needs of the district, which is primarily made up of teachers’ salaries,” Thompson said. The transportation funding shortfall for Page “means we’re dipping into our general maintenance and operations (budget), which is then, of course, taking money out of the classroom,” Dickerson said. So why don’t districts adjust the transportation they provide to meet the dollars allocated? Most of the costs for transporting students are either required by law, such as the requirement to transport disabled students, or are necessary for distance or to ensure student safety in areas where road conditions or traffic make it unsafe for students to walk to school, said Chuck Essigs, director of governmental relations for Arizona Association of School Business Officials. In rural areas, like Page, no other means exist for students who live far from school to get there. In many school districts, the cost of transporting disabled students is over half of their transportation expenses, Essigs said. For Mesa Public Schools, 55 percent of the bus route miles driven each year serve students with special education needs, Thompson said. “These routes are often more expensive than regular education routes as they require additional staff in the form of aides to assist with the student’s needs,” Thompson said. Special education transportation costs also include door-to-door assistance for physically disabled students who require the help of a bus aide, Aportela said. Some of those costs may be reimbursed later by Medicaid, but “that money is still going to initially come out of district coffers,” Dickerson said. It’s important to remember that the state transportation funding formula was written years ago, and it was never intended to be permanent, Thompson said. What should a revised transportation formula include? A better state transportation funding formula would address the needs of both urban and rural school districts, Thompson said. 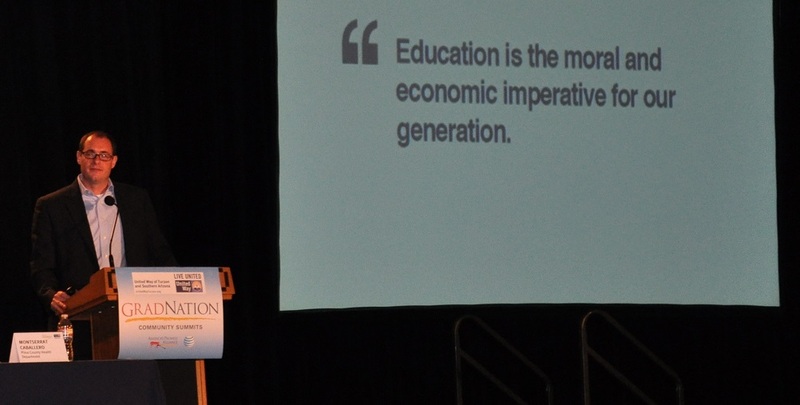 Before revising the transportation funding formula, education leaders and policymakers should look at how other states are providing transportation funding to their school districts, Essigs said. “There’s a big difference between transporting students in the middle of Phoenix or Tucson and transporting students in the middle of Alpine and rural areas of the state, so we should recognize the differences and have formulas that are appropriate to the type of transportation that’s being provided,” Essigs said. 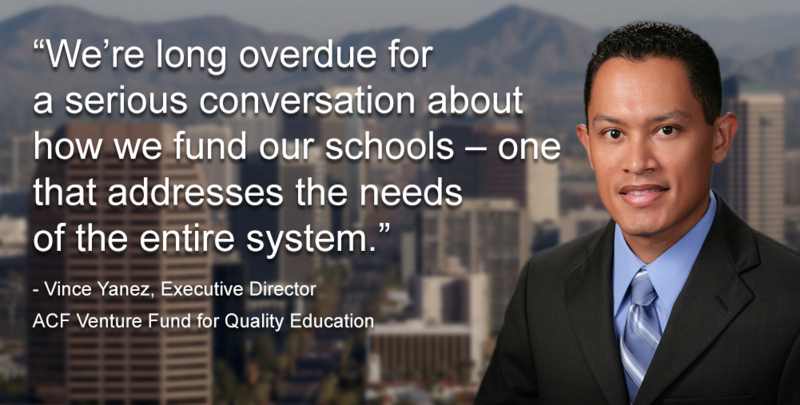 Also, Arizona should not fund special education miles at the same amount as general education bus miles, Essigs said. An 84-passenger bus making stops to pick up groups of kids is far different than a smaller school bus with a lift for students in wheelchairs and an aide to provide door-to-door service for students with physical disabilities, Essigs said. Revised funding also should encourage best practices, including efficient bus routes as well as environmentally friendly fuels, Thompson said. Another idea would be to pay districts based on their past year’s actual costs, Dickerson said.